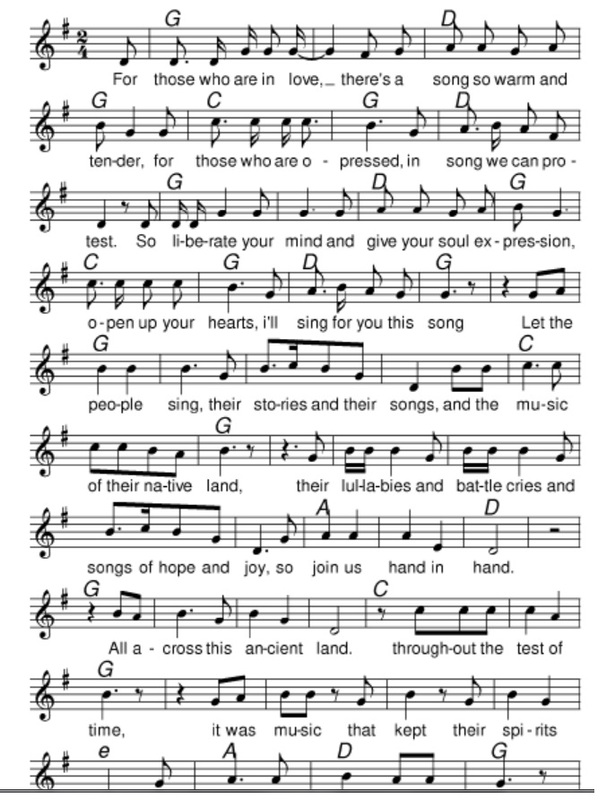 Let The People Sing Sheet Music Notes. [ Irish rebel] written by Brian Warfield from The Wolfe Tones. Also recorded by Charlie And The Bhoys from Scotland. For those who are in love there's a song that's warm and tender. For those who are opressed in song you can protest. Open up your heart I'll sing for you this song. And the music of their native land.